Poisoned Pen Press, 9781464203084, 260pp. 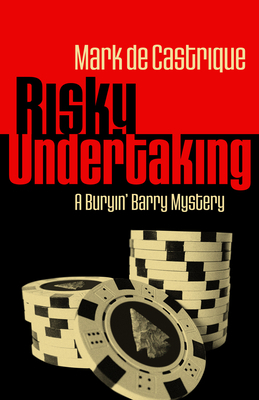 When Cherokee burial remains are unearthed on the site expanding a local cemetery, the dual occupations of Barry Clayton, part-time deputy and full-time undertaker, collide. Then, during the interment of the wife of one of Gainesboro, North Carolina's most prominent citizens, Cherokee activist Jimmy Panther leads a protest. Words and fists fly. When Panther turns up executed on the grave of the deceased woman, Barry is forced to confront her family as the chief suspects. But the case lurches in a new direction with the arrival of Sheriff Tommy Lee Wadkin's Army pal, Boston cop Kevin Malone. He's on the trail of a Boston hit man who arrived at the Cherokee reservation only days before the murder. Malone is convinced his quarry is the triggerman.